Please browse through our recent news section.Click on each article to find out more information. For press releases please go towards the bottom of the page and for further information please contact Clarissa Youden at info@totalhome.co.uk. Grand Designs: The Street has been an epic five years in the making. In this six-part series, presented by Kevin McCloud, we follow the first 10 pioneering households on the UK’s largest self-build project. It’s a great opportunity, but not without risk. In the process, these pioneers will suffer injury, structural disasters and physical and financial exhaustion. The pressure of self-building will cause friendships to fail, and relationships to break down. However, those who see the projects through to completion will be rewarded with beautiful homes, tailored to their needs, on a street like no other in the UK. Pioneers all have different motivations to build, their ages range from 24-72, budgets from £160k to £500k. 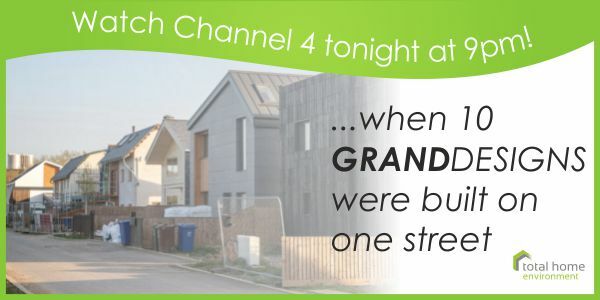 Over the course of the series, cameras witness these intrepid self-builders constructing their unique homes – turning a field into an extraordinary Self-Built Street. We have clients in Plot 1, 2, 8 & 10. The first episode follows previous and current neighbours Terry & Olwen and Lynn through their self-build journey. Terry ended up installing our Electrolux Central Vacuum system as did Lynn, for whom we also installed our Genvex Energy heat recovery ventilation system and Samsung Air-Source heat pump for heating and hot water. THE PKOM 4 IS A WINNER AT THE 2018 BUILD IT AWARDS! 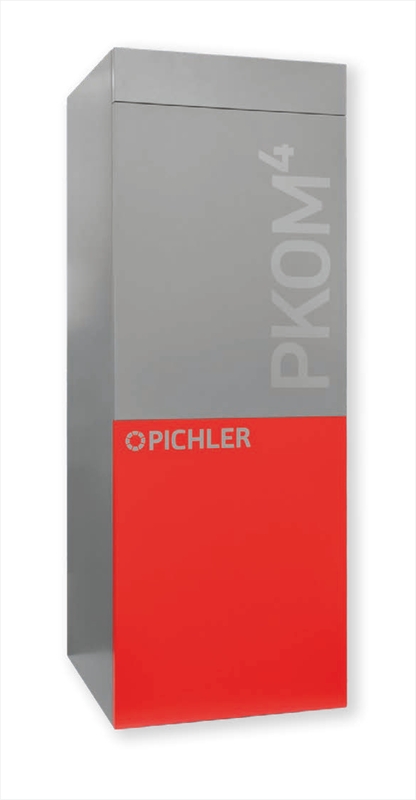 Our Pichler PKOM 4 Compact Service Unit was crowned winner of The Best Renewable Heating Solution Category by top comedian and actor Miles Jupp! At the glittering 2018 Build It Awards event held in London on 9th November, the PKOM 4 was chosen from hundreds of entries. This PassivHaus Certified System provides heat recovery ventilation, space heating, cooling and hot water in one unit for compact properties. Great for apartments or homes where space is at a premium, the PKOM 4 fits the bill because of it's small footprint. Click here for more information on this award winning product. Or for a close-up of these photo click here! HPV SERIES SHORTLISTED AT THE 2018 BUILD IT AWARDS! 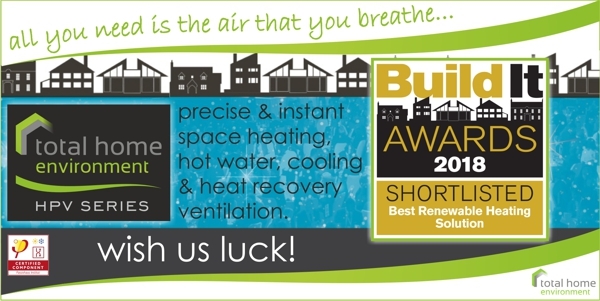 We are really proud that our flagship product the HPV Series Heat Pump Ventilation System has been shortlisted from hundreds of entries for Best Renewable Heating Solution at the 2018 Build It Awards. 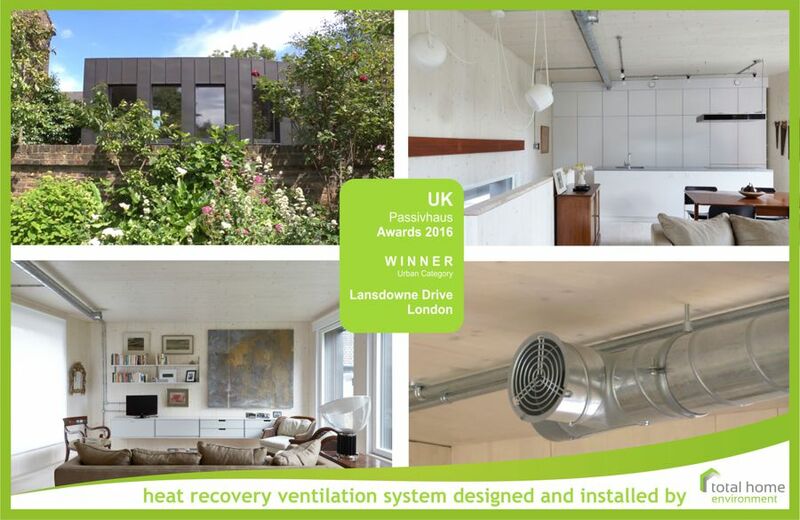 This PassivHaus Certified System provides precise space heating through it's heat recovery ventilation ductwork, that can react instantly to changing external temperatures. It can also be reversed to provide cooling in the warmer months and it provides all your domestic hot water requirements. We can't wait to attend the glittering Build It Awards Ceremony on Friday 9th November 2018 at the Hilton London Bankside hotel. Wish us luck with HPV Series and watch this space for the results! PKOM 4 SHORTLISTED AT THE 2018 BUILD IT AWARDS! We are really excited that the PKOM 4 has ALSO been shortlisted from hundreds of entries for Best Renewable Heating Solution at the 2018 Build It Awards. This PassivHaus Certified System provides heat recovery ventilation, space heating, cooling and hot water in one unit for more compact properties. 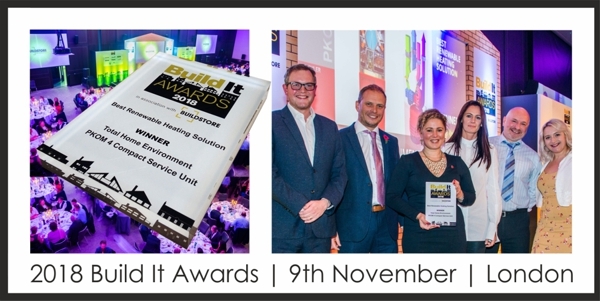 We can't wait to attend the glittering Build It Awards Ceremony on Friday 9th November 2018 at the Hilton London Bankside hotel. Wish us luck for the PKOM 4 entry and watch this space for the results! We're very excited to be launching our new product, the HPV Series into the UK which showcases heat pump ventilation at its best. The HPV Series sees a highly energy efficient heating system that redefines levels of comfort, giving precise delivery of heating, cooling, hot water and heat recovery ventilation, with unparalleled levels of responsiveness. This small summary sheet tells you a bit more about the system and for a sneak peak at the brochure, go to our downloads section and register. TOTAL HOME ENVIRONMENT IS CELEBRATING IT'S 20TH YEAR IN BUSINESS! The company specialised in the design, supply and installation of central vacuum and heat recovery ventilation systems in the residential new-build and renovations market. At the time, Michael Hunt the Managing Director, had experience with several independent manufacturers and felt that there was a gap in the market to combine the supply of both systems to create a “healthy home” package, which was in fact part of THE’s byline until 2006. He knew from his parents’ experience of completing a self-build, how you can get completely overwhelmed with the number of suppliers to project manage during the build process. He was therefore keen to eventually provide customers with a “one-stop shop” for their systems requirements. To this end, T.H.E Ltd relinquished its independent central vacuum supply status, when it won the Great Britain distribution rights to Beam Central Vacuums, the world’s original and most popular central vacuum products, in 2002. Manufactured by Electrolux Central Vacuums in Webster City, Iowa, USA, T.H.E Ltd built-up the profile of Beam central vacuums in many different British markets. It is highly specified in many countries of the world, (96% of new builds in Canada) and has revolutionised cleaning for millions of home-owners worldwide. In 2011, T.H.E Ltd moved on to represent the pure Electrolux brand in the UK market. Manufacturing has now moved to Mexico. “On the ventilation side, I was becoming frustrated in the position I felt T.H.E to be in. The company was the British distributor for Beam the best central vacuum, but then we didn’t have the best product ventilation wise, so my idea of providing “The Healthy Home Company” package to customers was still unrealised. I therefore approached the Danish manufacturer, Genvex back in 2006. Genvex was a manufacturer of a range of heat recovery ventilation and air-source heat pump appliances that I had worked with before and knew to be the best quality on the market. I was consequently extremely pleased and proud to have been offered the British distribution rights to the Genvex range back in December 2006” says Michael. Manufactured for over 42 years, the Genvex range of appliances has extensive research behind them as well as being owned by the NIBE AB group. Currently, several of their heat recovery appliances have been tested for Appendix Q status for SAP rating purposes and passed with flying colours. We also have products PassivHaus Certified, the results of which have put Genvex head and shoulders above its competitors in energy efficiency, heat recovery, air-source heat pumps and comfort cooling. 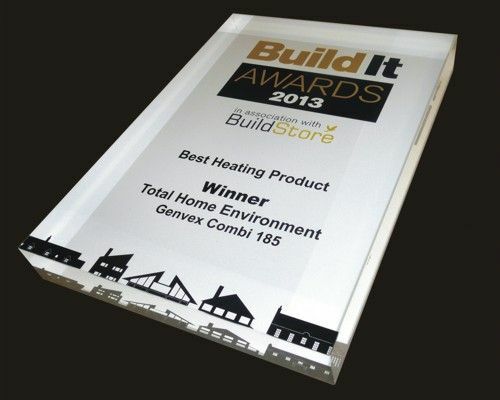 The Combi 185 won Build It’s Best Heating Product in 2013 and was part of the reason the Solcer House was awarded the BEE Best Breakthrough Project in 2015. We also distribute other brands of heat recovery ventilation units such as Airflow and Zehnder to ensure that our customers always have the most appropriate system. In 2013 it became apparent that our skills with heat recovery heat pump ventilation and heat loss calculations naturally lent themselves to extending our portfolio of products to include air-source heat pumps. 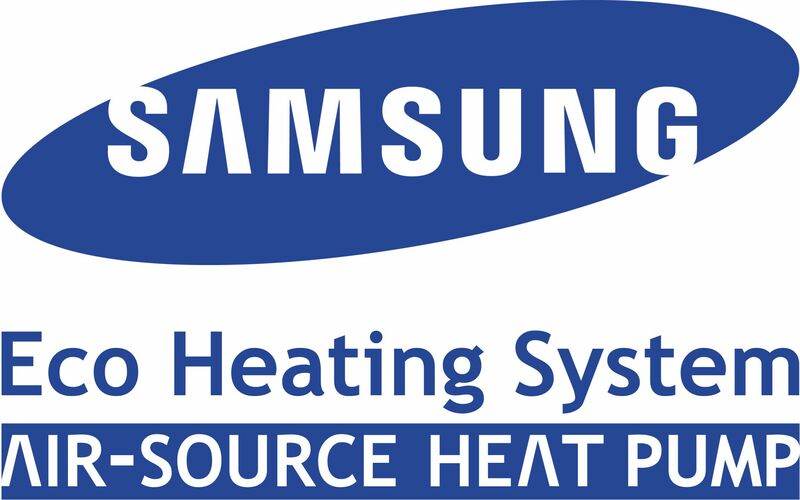 To this end in early 2014 we became a distributor of Samsung air-source heat pumps for the domestic market. 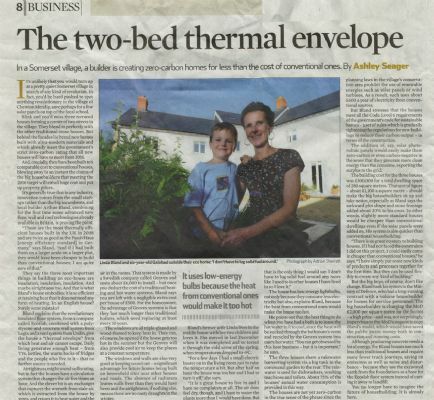 With more and more people building airtight and well insulated homes, it was obvious to us that there was an emerging gap in the market where new homes didn't necessarily warrant a formal heating system. So after extensive research and developement, at the beginning of 2018, we partnered with two companies in Europe. They helped us to produce the HPV Series, the first Passivhaus system in the UK to not only provide heat recovery ventilation with a heat pump for space heating and cooling, but also also specific and responsive individual room heating and hot water in a 300L tank. For smaller homes and apartments we brought the award winning PKOM 4 Compact Service Unit into the UK, which has just won a 2018 Build It Best Renewable Heating Solution Award. As a company we will always strive to enable everyone to enjoy the benefits of a healthy home, sustainably and economically, whether an individual or a specifyer. We will continue to do this through, heating, ventilation and vacuums. 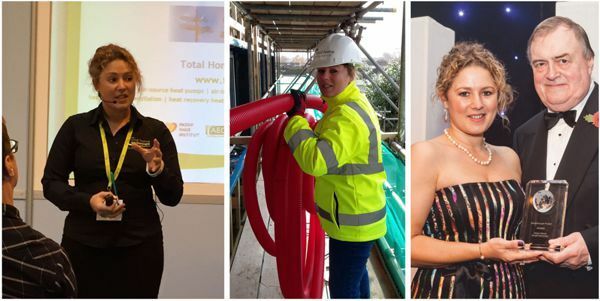 Clarissa is one of only 18 women within the UK, Europe and accross the pond to be championed as a sucessful female in the construction industry and to be presented a 2016 Women in Build Award. Clarissa supported the establishment of Total Home Environment in 1998 whilst practicing as a chartered surveyor at Savills in Oxford and DTZ in Cheltenham. She transferred her construction skills to became full time in 2002. She is based at our offices in Moreton in Marsh and helps promote Total Home Environment through brand marketing, writing magazine articles and delivering technical presentations at the National Selfbuild & Renovation Centre in Swindon, The National Selfbuild & Renovation Show at the NEC and The Self-Build PassivHaus Showcase in Norwich amongst several others. Having been part of the team since the launch of Total Home Environment, Clarissa has had the benefit of supporting the company in every sphere from detailed marketing and technical system designs to warehouse fulfilment and onsite installations. Being an Associate Director, Clarissa is responsible for ensuring that the Total Home Environment brand delivers the design, supply, installation, commissioning and customer service that is promised on paper and on screen. She achieves this by being very specific on how sustainable technology is communicated within the market and being honest about the benefits of our products and the service of our team, so clients are often producing exceptional testimonials and case studies. She has found that exceeding expectations on technical knowledge and abating the anxieties of speaking within a typically male-dominated role both as a surveyor and within the sustainable technology industry, has enabled her to enlighten people’s opinions on women in the building industry. Article on all the Women In Build Award winners. 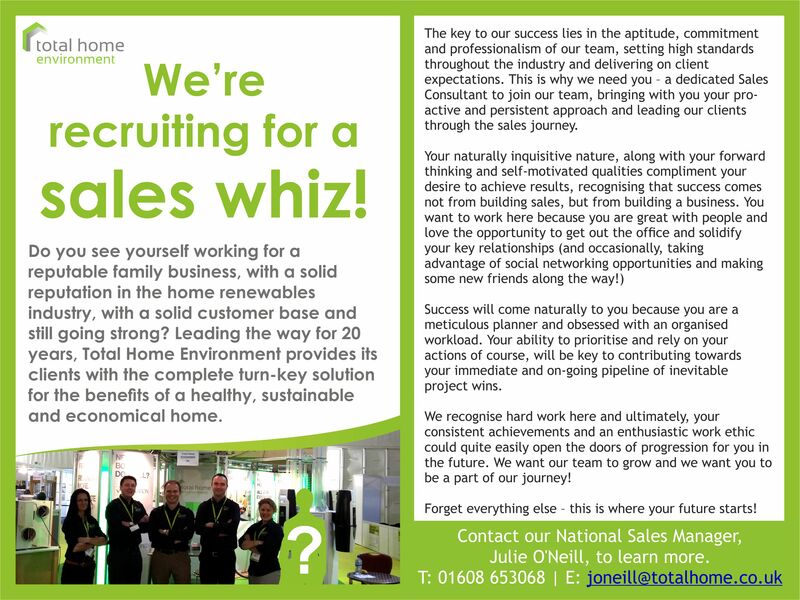 Do you see yourself working for a reputable family business, with a solid reputation in the home renewables industry, a solid customer base and still going strong? Leading the way for 20 years, Total Home Environment provide our clients with the complete turn-key solution to the benefits of a healthy, sustainable and economical home. Click here for more details. 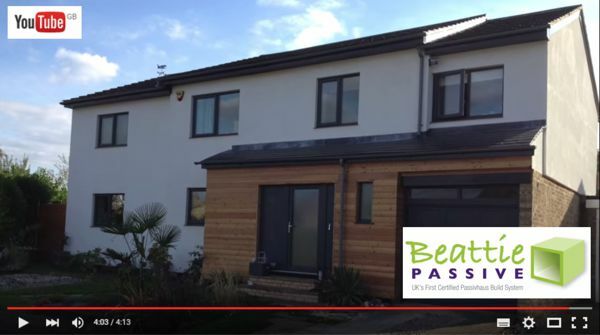 Total Home Environment are very proud to be involved in this 2016 UK Passivhaus Trust Award winning home. We first of all completed a room by room heat loss calculation to help Bernard Tulkens decide what heating system would be suitable for his home as he was initially contemplating having our 2013 Build It! Award winning Combi compact service unit. (This provides not only heat recovery ventilation but also some space heating and a 185L tank of hot water too!) It was decided in the end to go with a heat recovery ventilation system in this two storey 102m² eco home. We designed, installed and commissioned the entire system. All the rigid safe-seal metal ducting is exposed so the installation of it had to be spot on. 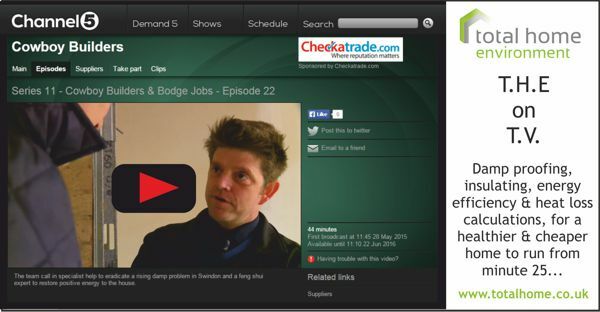 Our work is shown in several photographs and featured in the YouTube video as well. Our Associate Director, Clarissa Youden, discussing how private landlords and housing assocations can reduce property maintenance and fuel poverty whilst creating a healthier home for their tenants to live. Click here for the full article. Our Associate Director Clarissa Youden, explains the different ventilation systems available on the market and why heat recovery ventilation is probably still the best one to save heat and keep your home healthy. Click here to read the full article. 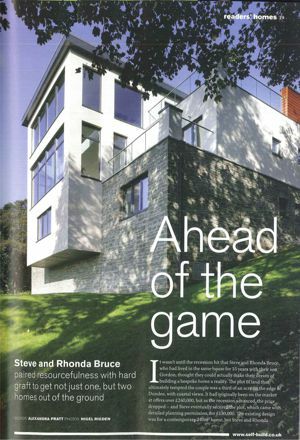 Total Home Envrionment supplied an Electrolux Central Vacuum into this contemporary home in Scotland. Alexandra Pratt of Build It Magazine talks to the Bruces on how they managed to project manged two homes at the same time. Click here to read the article. Total Home Envrionment helped keep the house fresh and dust free despite animals and two families living in the same property! Click here to read the article. Total Home Envrionment again help in showing that developers can reduce fuel poverty and nasty symptoms of respiratory conditions traditionally causd by high humidty from ineffective heating and ventilation. Many of the units requirier no additional heating whatsoever, thanks in part, to our design and installation of Zehnder heat recovery ventilation units. The decision to aim for PassiveHaus standard in this affordable housing project at Knights Place in Exeter back in 2012 was because the new development was aimed at the over 55's. As a council, Exeter ‘were acutely aware of fuel poverty issues and we were keen to build homes that promoted the health of our tenants’. Exmplar developers demonstrating to the wider market that you can deliver very low cost energy homes in a cost-effective way. Exmplar developers demonstrating to the wider market that you can deliver very low cost energy homes in a cost-effective way. To see a copy of the full article go to the PassiveHousePlus magazine website. 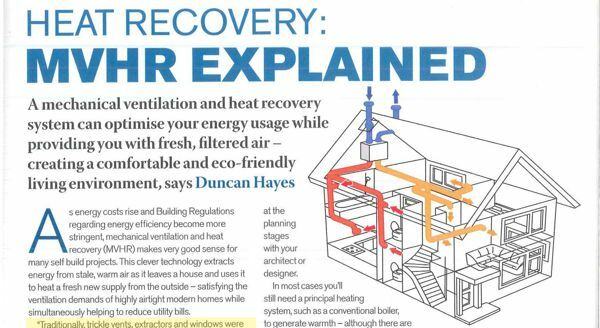 Duncan Hayes writes about the optimisation of energy usage within your home using a heat recovery ventilation system with comments from Total Home Environment's Associate Director Clarissa Youden on the importance of good design, ducting type, insulation and commissioning. To read the article click here. Lovely comments from a local customer in Woodstock on our Genvex Energy heat recovery ventilation system. Fresh air, clothes drying easily on the airer and very little dusting! What more can we ask for on a testimonial?! Another great collaboration between two companies making the perfect home environment without any formal heating system! Lenny Antonelli talks about 12 PassivHaus units delivering low energy bills and comfort using a patented timber frame system from Beattie Passive. We've highlighted a candid comment which made us chortle, from one of the happy tenants, about the good indoor air quality from our Genvex heat recovery system that's been installed! Robert Llewellyn-Jones, Journalist for The Mirror talks about combining high tech at low cost and how this succesful combination is made using the best off-the-shelf technology available from a local supply chain. 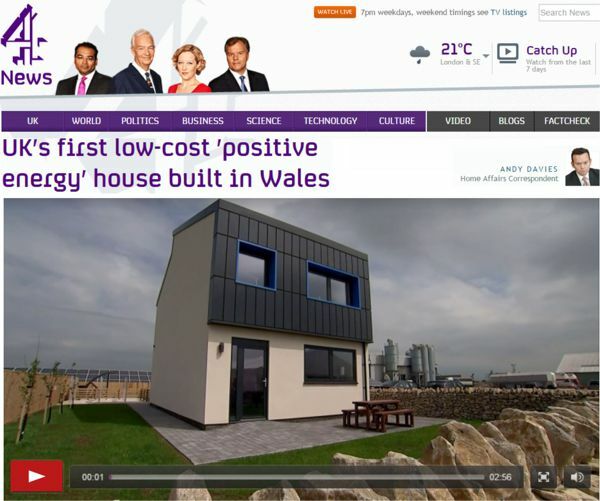 Andy Davies, Home Affairs Correspondant at Channel 4 News talks about the amazingly efficient technologies in this first of a kind home that goes far beyond the PassivHaus Standard. Whilst Mr Davies is shown that all the heat for the house is from our ceiling terminals, unfortunately the documentary implies that all the warm air comes from the solar wall... this is not strictly true - there is a very energy efficient appliance utiltising the air and doing all the hard work of ventilation, space heating and hot water behind said wall! Our compact service unit, the Genvex Combi 185 unit was chosen to provide heat recovery ventilation, space heating and domestic hot water in Cardiff University's 'impossible' carbon zero house. 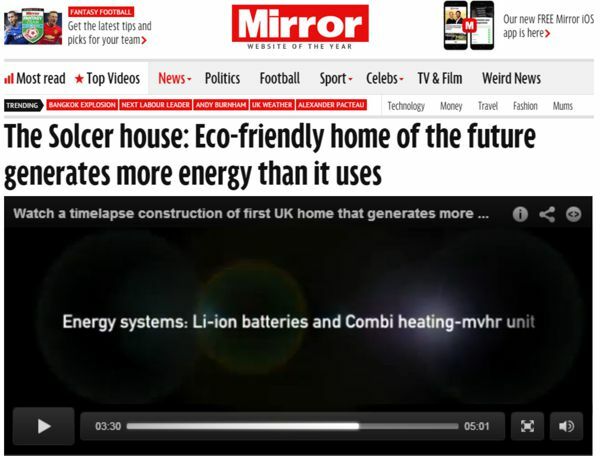 In fact SOLCER House is energy positive providing more power than it consumes. Roger Harrabin, BBC enironment analyst talks through the project with a small tour around the house with Professor Phil Jones who lead the project. For more information on the article and to see the short video click here. 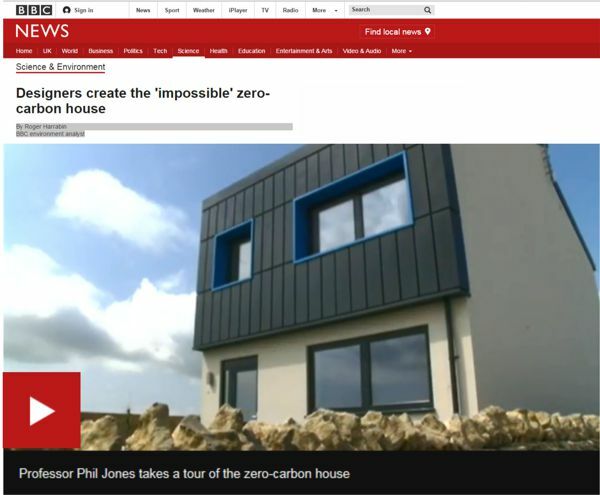 COULD THE DEATH OF ZERO CARBON HELP PASSIVE HOUSE BLOOM? Not us in the news here - but such a worthwhile read, we've included it on our news page: the government's decision to scrap the proposed zero carbon standard for new dwelling might appear to be a kick in the teeth for green building - but could the move present an opportunity for a better standard to step in? Click here for full article or see below for a summary. George Osbourne's decision to scrap the zero carbon standard (ZCS) for new dwellings appears to be a kick in the teeth for green building - but could it actually present an opportunity for a better house building standard to step in? Peter Rickaby has hit the nail on the head in his recent PassiveHousePlus article. 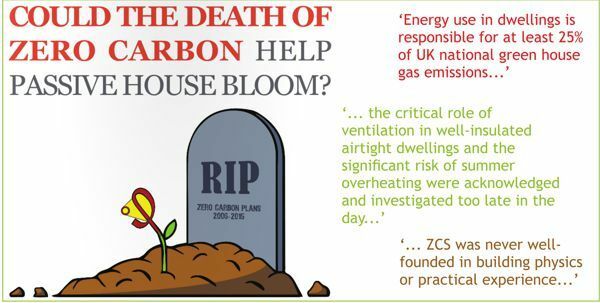 • We must ask the questions: Why was Zero Carbon Standard (ZCS) proposed, did if fulfil its promise and is scraping it a good opportunity to improve? • is it surprising therefore that the government looked at technical, complexity and expense weaknesses and scraped it? 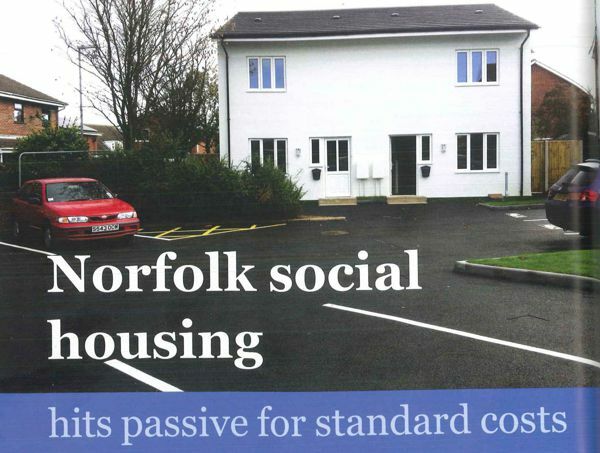 • There’s plenty of evidence that new homes can be built to a PassivHaus standard within even social housing cost limits, so there really is no excuse for house builders not to do the same. 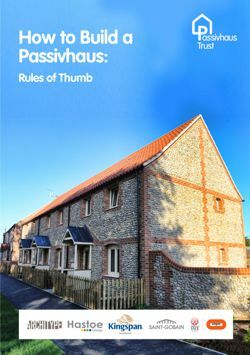 Officially to be launched at Ecobuild (3 March 2015), the Trust's newest guide - How to Build a Passivhaus: Rules of Thumb highlights the key aspects of the do's and don'ts of best practice. There's reference to projects where our systems have been installed.Whilst the brochure is currently still in draft format, it details our Genvex compact service units for heat recovery ventilation, space heating and hot water at the Princedale Road PassivHaus and the award winning Burnham Overy site in Norfolk. And of course we like the mention of our Zehnder HRV units within an Exeter City council project. Click here for more information on the article. 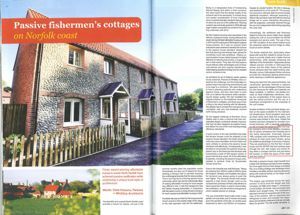 Chris Parsons, of Parsons + Whittley Architects details how award winning Fishermen's Cottages in Norfolk get PassivHaus certification at a cost comparable to conventional building, by building tight, insulating right and using a Combi 185 for all ventilation, heating and hot water needs. Fuel poverty - what fuel? 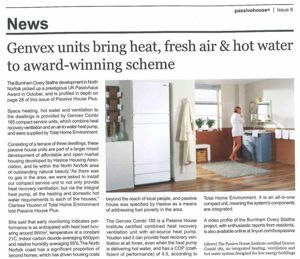 Lenny Antonelli, Deputy Editor of Passive House Plus, discusses the importance of our Genvex Combi 185 compact service units installed in a Passivhaus project in an area of Norfolk where there is no gas supply. Clarissa summarises Brandon Lewis MP (Minster for Housing & Planning), Richard Bacon MP and their enthusiasm for getting the Self-build and Custom Housebuilding Bill through parliament and NaCSBA's achievement over the years in championing Self build, together with Charlie Luxton's view on sustainablity and design and talks from two vanguard councils. Click here for a summary of the summit. Genvex - PASSIVHAUS HOMES OPEN 7-9TH NOVEMBER THIS YEAR CONTAINING OUR AWARD WINNING COMBI 185 COMPACT SERVICE UNIT. Get first hand experience of the many advantages passive houses have to offer - 323 PassivHaus Certified/or near PassivHaus properties will be open to the public from 7th-9th November this year. Three of which contain the Combi 185 compact service unit, which won the Build It Best Heating Product Award in 2013. Below are details of the three projects in Canterbury, Wisbech and Kings Lynn. Over the past 20 years, the term PassivHaus has become synonymous with quality, comfort and low or zero energy requirements. But what does it mean to live in one? Several Passive houses across the UK will be open to the public on 7th-9th November this year. Three of which contain the Combi 185. It gives the public an opportunity to visit PassivHaus buildings to experience the technology and design that has been used to create these ground breaking buildings which require little or no central heating!! Currently it is still being constructed but it adopts PassivHaus principles and has been designed using the PassivHaus Planning Package (PHPP). It is a three bedroom, 185sqm home, with Ibeam timber frame construction. Insulation in the walls and roof consists of 350mm Icynene foam internally and 50mm high density Roackwool externally. Duct work for the Combi 185 is already installed, with the unit to be located in January. It will provide all the home's ventilation, heating and domestic hot water needs. For more information on open times and booking a viewing slot click here. Outwell is a scheme of 15 affordable homes, comprising 11 three bedroom houses and four flats. 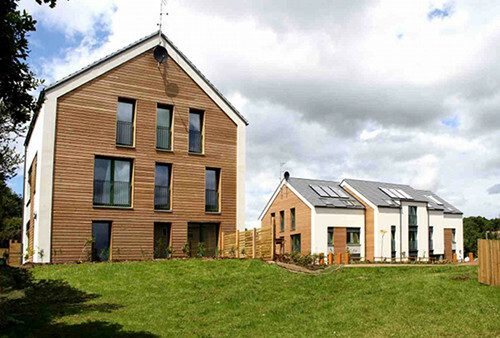 They are all built to PassivHaus standards and Level 4 of the Code for Sustainable Homes. These are of pre-fabricated timber frame construction. The Combi 185 has been installed in each of the homes providing domestic domestic hot water, space heating and heat recovery ventilation, all super efficiently in one unit. This is a live construction site and will be muddy with uneven ground. For more information on open times and booking a viewing slot click here. Winner in the Architectrual Design Category of the UK PassivHaus Awards 2014, (see below 'GENVEX - TOTAL HOME HELPS NORFOLK HOUSING PROJECT') the terrace of 3 homes all feature the Combi 185 compact service unit, providing all space heating, domestic hot water and heat recovery ventilation needs. They have traditional deep reveals and smaller north facing windows, reflecting what forebears understood about shelter and consequently the scheme had little difficulty in delivering this most modern standeard within a traditional context. For more information on open times and booking a viewing slot click here. For the full list of passive homes open during that weekend visit the PassivHaus Trust Website. We seem to be making a habit of this! For more information on the article click here or to watch the program click on the graphic below. 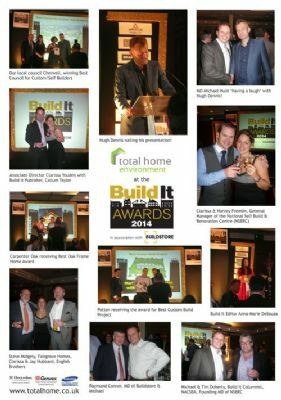 The Build It Awards 2014 celebrated all aspects of self build and renovation including completed projects, products, services and suppliers. Comedian Hugh Dennis (from TV's Mock the Week and Outnumbered) presented the awards, amongst much sniggering! For a closer look at the pictures click here! The awards brought together architects, manufacturers and key industry figures in recognition of innovation and excellence in the custom home sector. 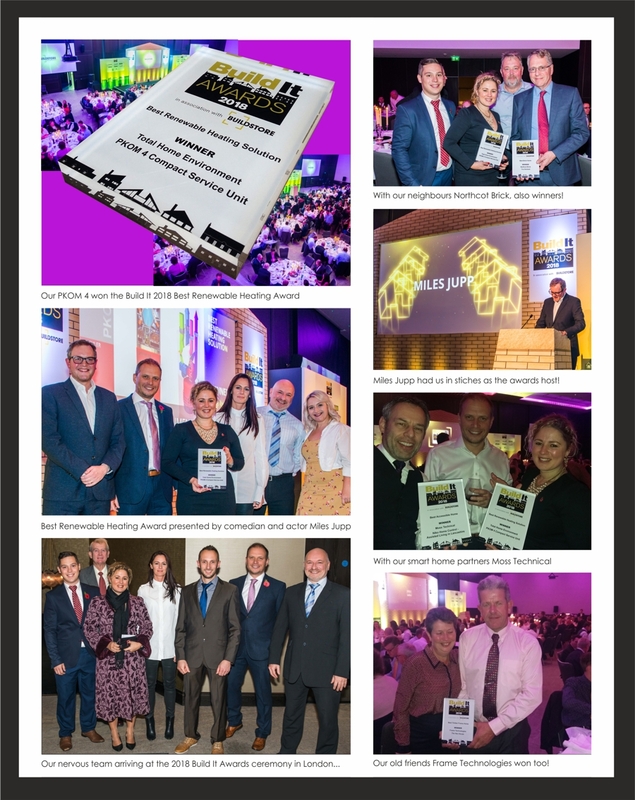 The Best Self Build, Best Self Build Architect / Designer and Best Self Build Lender categories were voted on by Build It readers and all other entries were judged by a panel of industry experts, chaired by the editor of Build It magazine, Anna-Marie DeSouza. Winners of the coveted awards were announced last night at a Gala Awards Dinner held at The Hilton in Swindon. Architectural designer Charlie Luxton helps people build dream homes that are both amazing and affordable. He is impressed with our clients' automatic dustpan, that's part of the Electrolux Central Vacuum system that the Bennetts have installed in their timber frame home! For more information on the article click here or to watch the program click on the graphic below. Architectural designer Charlie Luxton helps people build dream homes that are both amazing and affordable. He is surprised that with just the Genvex Combi 185 providing heat recovery ventilation and with it's integral micro heat pump providing air heating and all the domestic hot water is all that the George family need! For more information on the article click here. Ecodesign sets requirements on corded vacuum cleaners.The Ecodesign regulation (and Energy Label regulation) will not apply to Electrolux central vacuums, floor polishers, wet, wet and dry, battery operated, robot, industrial or outdoor vacuum cleaners. A terrace of three dwellings shows promising results in Passivhaus standards reducing energy bills and all at a price comparable to traditional building methods! Lenny Antonelli, Deputy Editor of Passive House Plus, discusses the importance of correct design, installation and commissioning of heat recovery ventilation sytems, in ensuring what they say about effciency on paper, actually comes into practice on site. Click here for more information on the article. 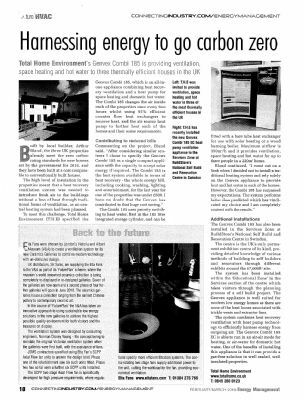 Genvex - A CLOSER LOOK AT AN ECO HOME - JANUARY 2014 - Genvex system is the primary means of heating the house. 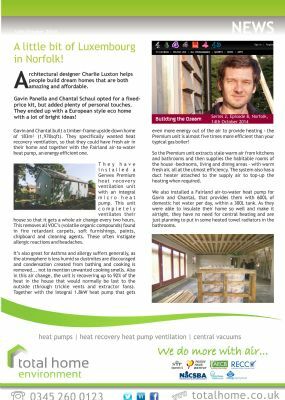 Lee Manning, Financial Director of timber frame company Carpenter Oak, talks about how much he loves his Genvex heat pump. Click here for more information on the article. By Anna-Marie DeSouza, Editor, Build It Magazine. 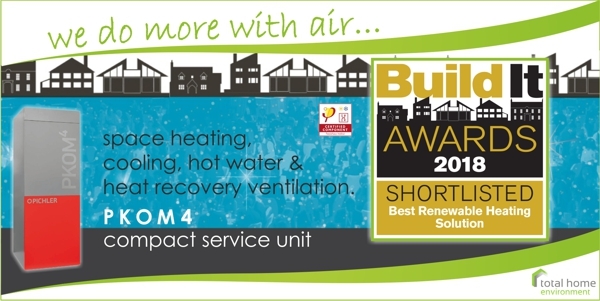 Total Home Environment was absolutely delighted to win the 'Beat Heating Product' category in the 2013 Build It Awards held on 21st November at the Hilton Hotel in Swindon. Thanks to all the team at Build It magazine and The National Self Build & Renovation Centre for making it such an enjoyable ceremony. Alan Davies, who presented the award to our Managing Director, Michael Hunt, was a pleasure to laugh at too! For more pictures click here. Get first hand experience of the many advantages passive houses have to offer - 30 PassivHaus Certified properties will be open to the public from 8th-10th November this year as part of the 10th International Passiv Haus Open Buildings. Four of which contain products from Total Home Environment. Below are details of one of the projects open in Exeter. Over the past 20 years, the term PassivHaus has become synonymous with quality, comfort and low or zero energy requirements. But what does it mean to live in one? Several Passive houses across the UK will be open to the public on 8th-10th November this year. This gives the public its 10th opportunity to visit PassivHaus buildings to experience the technology and design that has been used to create these ground breaking buildings. Knights Place & Rowan House, Exeter - a couple of projects open in November, are among the first social housing accommodation in the UK to be built using the PassivHaus method for apartment developments. When the client, Exeter City Council, was offered a funding opportunity by the HCA to develop council housing in Exeter, it was decided to use this chance to provide exemplary, affordable housing, built to the highest standard of energy efficient construction with the aim to successfully target fuel poverty and combat climate change at the same time. In 2011 they were joint winners of the Association of Retained Council Housing (ARCH) Award for Innovation and Sustainability. Our Genvex heat recovery ventilation appliances, were one of the systems that contributed to both these developments achieving this honour, together with super insulated building envelopes, minimal thermal bridging, high levels of air-tightness, solar panels, low water use and daylight design. Both these developments use a fraction of the energy of traditionally constructed new buildings and will allow for extremely low running costs. There will soon be a time when we wonder why we ever thought heating our homes with valuable and scarce fossil fuels was a sensible thing to do. Lee Manning, Financial Director of timber frame company Carpenter Oak, is very happy with the 'light airy feel of the house' and the 'brilliant' heat pump. He chose a Genvex Premium heat recovery heat pump ventilation unit, a Vanvex air to water heat pump and an Electrolux Central Vacuum. Click here for more information on the article. Stephen Hansey a resident at the recently Passivhaus certified Social Housing development in Ditchingham talks about his need for warm, but not stuffy air in his home. Click here to connect to some brief interviews. Heat recovery ventilation and heat pump ventilation renewable technology appears to be bucking the economic trend by enjoying sales growth, according to one of the UK's leading suppliers. For more information on the article from Pro Installer, click here. Imagine the appeal of a new-build home or social housing project that does not rely on fossil fuels. Michael Hunt, managing director of Total Home Environnment, explains why this is due to advances in heat recovery ventilation and the development of integrated heat pump venitlation. For more information on this article from Panel Building & System Integration, please click here. Editors Choice - Specialists in ventilation and cleaning systems, Total Home Environment used Ecobuild to showcase the centenary of the vacuum cleaner from the "Baby Daisy" that took two people four hours to clean a room to the revolutionary central vacuum that is Electrolux today. For more details on the article pinpointed by Michelle Teeman, Managing Editor click here. A house on Kennett Road, Oxford has just received Passiv Haus Certification from BRE thanks to Total Home Environments Genvex Combi 185 appliance providing heat recovery ventilation, a primary heating solution from the integral heat pump together with 185 litres of hot water. Click here to see a copy of the certificate. GENVEX - THE HEAT IS ON - FOCUS ON SUSTAINABLE & COST EFFECTIVE HEATING - DEC 2012 ISSUE. Creating a warm home that is both sustainable and cost effective to run in the long term. 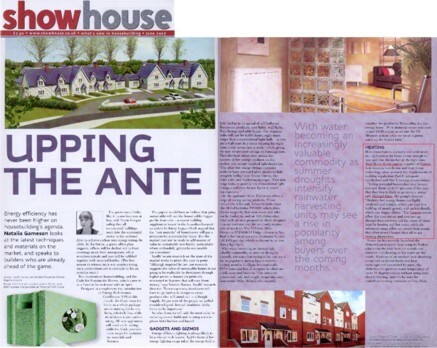 Kate Hamilton of ShowHouse looks at the sealing and insulating of homes being the only way to go, if you're going to invest in a quality heating solution. Click here for more details. Electrolux - DESIGNED FOR LIFE - WEDDING GIFT ARTICLE IN ASIANA WEDDING WINTER 2012 ISSUE. Asiana Wedding Features Editor Sonia Ahmed, continues on her passion to open peoples eyes to the longevity, practicality and convenience of an Electrolux central vacuum system, especially highlighting the benefits of the VacPan automatic dustpan. Please click here for access to this article. 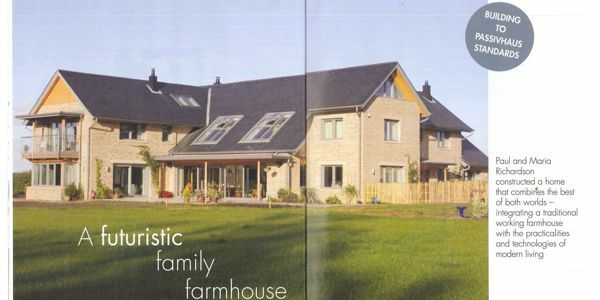 Genvex - PASSIVHAUS OR CODE FOR SUSTAINABLE HOMES - FOCUS ON HOUSEBUILDING - NOV 2012 ISSUE. It is mandatory for social housing to be built to Code Level 4 of the Code for Sustainable Homes since 2010 and new Building Regs next year will ensure all new homes have to be built to this standard. Gary Bundy for ABC&D Magazine, looks at Exeter Council's Rowan House development where Total Home Environment's heat recovery ventilation systems are all that is required to keep the homes warm. Click here for more details. If you want to install a renewable heating system, heat pumps are one of the most popular options, says Anna-Marie DeSouza. But how do they work and which type will be best suited to your home? For more details please click here. With increaingly air-tight homes being constructed to meet the revised Part L, as well as the Code for Sustainable Homes, heat recovery needs to be considered in order to provide enough fresh air for a healthy environment. For more details click here. Electrolux - IN THIS YEARS MOST WANTED WEDDING GIFT ARTICLE IN ASIANA WEDDING AUTUMN 2012 ISSUE. Asiana Wedding Features Editor Sonia Ahmed says that an Electrolux central vacuum must be this years most wanted wedding gift. 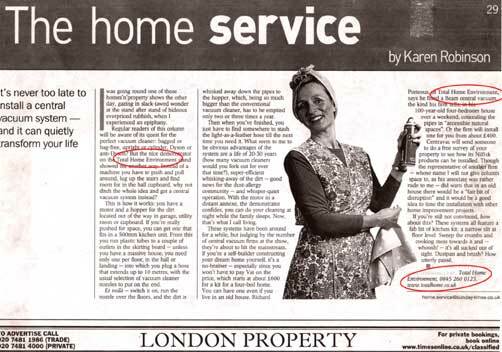 She highlights the benefits of and surprisingly econmical aspects of the Electrolux Central Vacuum. Please click here for access to this article. 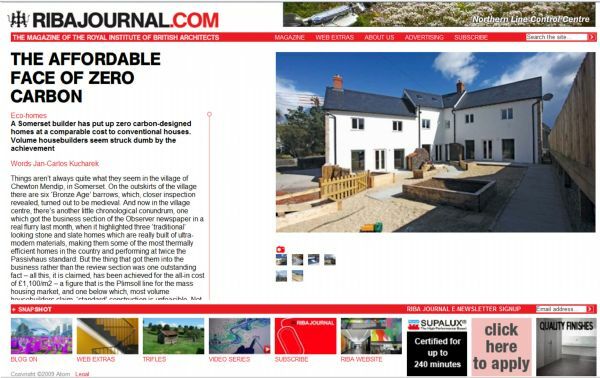 Genvex - IN RECOVERY MODE AT ECOBUILD ARTICLE IN CIBSE JOURNAL MAY 2012 ISSUE. Andy Pearson selects examples of manufacturers highlighting their latest heat recovery ventilation technologies at this years Ecobuild event. Please click here for access to this article. 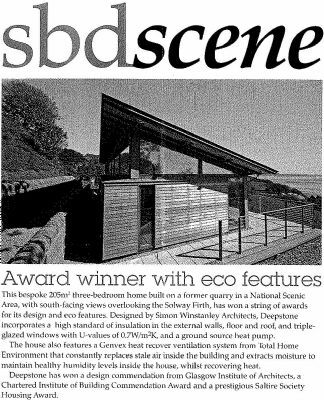 Electrolux And Genvex - IN BREATHE EASY ARTICLE IN ECO BUILDING NEWS APRIL 2012 ISSUE. 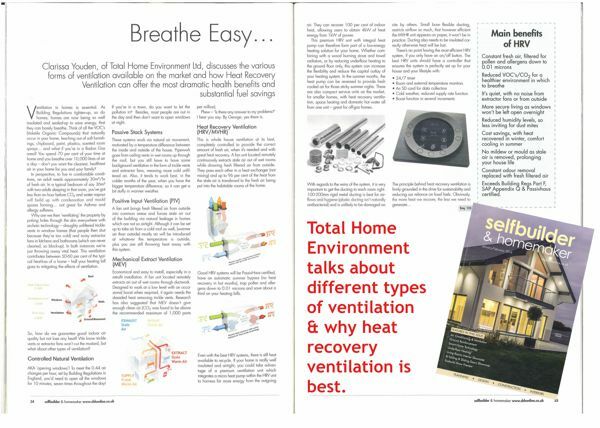 Total Home Environment Associate Director Clarissa Youden, writes for Eco Building News, explaining how the latest ventilation systems reduce fuel bills and how central vacuums keep a cleaner environment within the home. Please click here for access to this article. 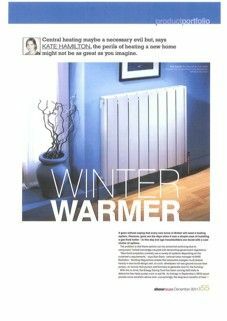 Total Home Environment - IN WINTER WARMER ARTICLE OF SHOWHOUSE MAGAZINE DECEMBER 2011 ISSUE. ShowHouse Editor Kate Hamilton discusses the extensive array of heating systems developers can install in their homes and that it might not be as complicated (or as expensive) as they think to build in Green technology rather than just the old tried and test central heating option. Total Home Environment explains how little has to be done in a well-insulated house. Please click here for access to this article. 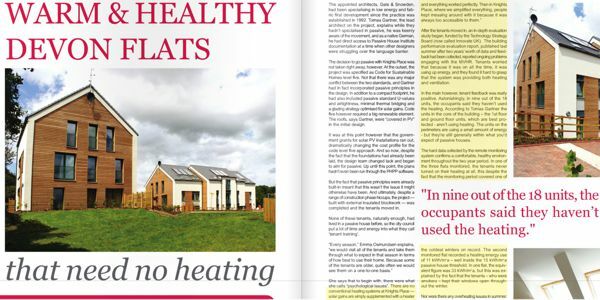 An article in Green Building vol.19.1 (summer 2009) under the heading 'Vernacular PassivHaus?' described a small housing scheme with, perhaps, inflated ambition. After two rather severe winters the architect of the project, David Hayhow, thought it would be a good time to look back at the project to see how it fared compared with expectations and commentary at the time of construction... Please click here for access to this article. 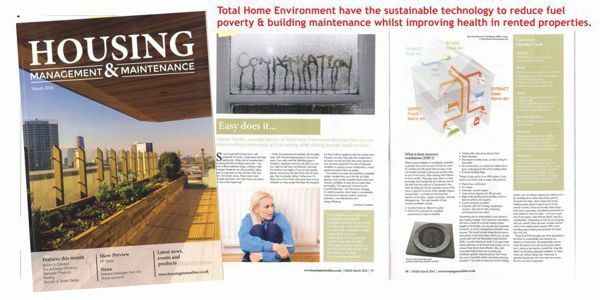 Genvex & Total Home Environment - IN GREEN SUPPLEMENT WITHIN HOMEBUILDING AND RENOVATING MAGAZINE JUNE 2010 ISSUE. 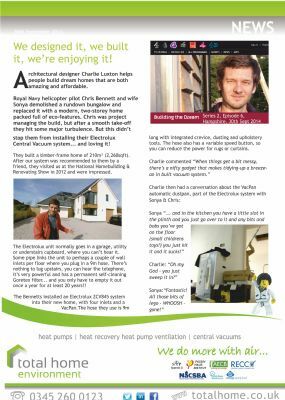 Homebuilding & Renvating Editor Jason Orme and Contributing Editor Tim Pullen discuss the merits of Green technology and more specifically, Total Home Environment's Combi 185 heat pump ventilation with heat recovery. Please click here for access to this article. 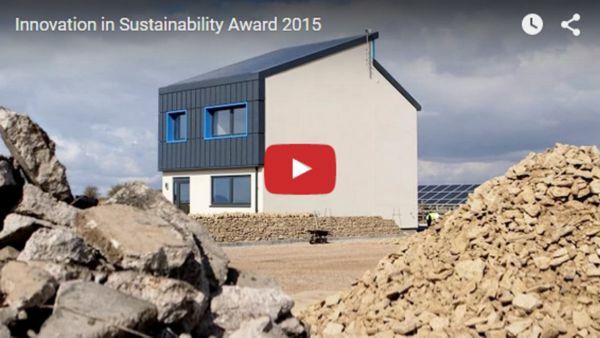 Total Home Environment's heat recovery ventilation system chosen for an eco home that has won the Saltire Society Housing Award and a Chartered Insitute of Building Commendation Award among others. For access to the article please click here. Total Home Environment's Genvex Combi 185 providing ventilation, space heating and hot water to three thermally efficient houses in the UK and our new exhibit at Buildstore in Swindon. Please click here for access to the article. The Good Design Awards are granted to designers and manufacturers around the world for setting the highest standards for the most advanced product designs, branding, and graphics. Electrolux Home Care Products has been awarded the 2009 Good Design Award for the Zuum Z-series by Eureka Central Vacuum System. The Zuum is Eureka's latest cleaning system that is designed to be powerful and easy to use, with a sleek European design. The Good Design Awards are granted to designers and manufacturers around the world for setting the highest standards for the most advanced product designs, branding, and graphics. The awards are presented by The Chicago Athenaeum: Museum of Architecture and Design, together with The European Centre for Architecture Art Design and Urban Studies. "The Good Design Award distinction reflects Electrolux's efforts as global market leaders in design and technology," said Scott Ride, president, Electrolux Central Vacuum Systems and Electrolux Home Care Products Canada. "We continually strive to bring consumers cutting edge technology and innovative homecare solutions." Each of the five systems in the Zuum Z-series by Eureka offer several advanced features, including a sealed HEPA filtration unit for improved air quality, integrated sound suppression for minimized noise, interactive LED panels, and an LCD screen that monitors the machine's internal workings and provides performance measurement. Good Design was also awarded to Electrolux's design excellence for the Versatility Upright Vacuum, the Eureka Comfort Clean Upright Vacuum, and the Electrolux Oxygen Ultra Air Cleaner. "The Electrolux design philosophy starts with identifying consumers' needs and finding ways to deliver on them," said Randall Sandlin, director of Industrial Design, Electrolux Home Care Products North America. "The close working relationship between industrial design, engineering, and marketing allows Electrolux to develop unique, new product solutions like the Zuum Z-series by Eureka." The Zuum Z-series is one of 500 product designs and graphics from over 35 countries that were awarded the Good Design Award for design distinction in 2009. All award honorees will be exhibited at The Chicago Athenaeum in the Good Design Show for 2010 in Chicago in June 2010. Energy efficiency A discussion about Code Level 6 homes build in Chewton Mendip at a reasonable cost of £1,100/m² with the help of the Genvex Combi 185. Things aren’t always quite what they seem in the village of Chewton Mendip, in Somerset. On the outskirts of the village there are six ‘Bronze Age’ barrows, which, closer inspection revealed, turned out to be medieval. And now in the village centre, there’s another little chronological conundrum, one which got the business section of the Observer newspaper in a real flurry last month, when it highlighted three ‘traditional’ looking stone and slate homes which are really built of ultra-modern materials, making them some of the most thermally efficient homes in the country and performing at twice the Passivhaus standard. But the thing that got them into the business rather than the review section was one outstanding fact – all this, it is claimed, has been achieved for the all-in cost of £1,100/m2 – a figure that is the Plimsoll line for the mass housing market, and one below which, most volume housebuilders claim, ‘standard’ construction is unfeasible. Not only that, volume housebuilders have insisted that the new materials and methods required to create a zero carbon home will push this figure way up – meaning they’ll have to increase property prices. Yet a local builder by the name of Arthur Bland in a small Somerset village seems to have proved them wrong. So how come some mock vernacular homes on a village street corner are beating the volume housebuilders to the zero carbon goal? While they may look like traditional cottages, the three houses are built using cutting-edge materials that put the emphasis on insulation. Walls are constructed of Logix ICF blocks, which arrive on site in 1,200 x 300 x 450mm blocks, consisting of two EPS outer sheets linked by a plastic web that holds them together. Once constructed and shuttered with ply, reinforcement is placed inside the blocks and the whole lot in-situ cast, obviating the need for lintels over any openings. With the thermal mass either side of the foam, the whole produces a U value of 0.14 out of a 353mm depth. Floors are constructed with Eco-slab, an expanded polystyrene flooring system built within the insulated foundation walls. It eliminates thermal bridging to give a U value of 0.13. 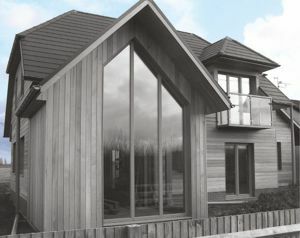 A Unilin Systems SIP panel roof extending from a ridge beam down to a bolted wall plate achieved a roof value of 0.09, and the Samson Wood windows are triple-glazed. Taken together, the total space heating requirement comes to an impressive 7.75kWh/m2/year. Needless to say, there is no need for a central heating system. According to the builder, it meets Code 6 of the Code for Sustainable Homes in construction. It all sounds too good to be true. Senior sustainability engineer Alasdair Young of Buro Happold is less vociferous in his criticism, but remains cautious about the claims, and on the quality of the internal environment being created. ‘The construction approach is certainly novel, but I doubt whether there has been a full post-occupancy evaluation,’ he says. ‘The design does seem quite well placed to cope with climate change and future rises in the mean temperature, but may suffer from the same problems as lightweight build if they are decoupling the thermal mass’ – an aspect that echoes Dunster’s concern about the internal environment quality. It’s undeniable that increased air tightness will affect air quality, something that is reflected in the fact that Part F, as well as Part L is being consulted on for adoption next year, but Bland has apparently borne this in mind, with the installation of a Genvex mechanical heat recovery ventilation system, providing five air changes an hour, and salvaging the heat to bring 185 litres of water up to a very useable 60°C. Opening windows obviously allow for passive ventilation to be taken up in the summer months. Young’s biggest gripe, however, seems to be more the reticence of the local council to permit any form of renewable technology to be installed on the homes, regardless of whether they are low energy or not. Of course, given the fact that the technology can be dressed up in any form whatsoever, it does beg the question why, at the per square metre costs that the homes came in at, it is not being looked at by the volume housing industry as a means of meeting the government’s zero carbon targets for the UK, without – potentially – any recourse to stylistic change in design. Logix insulated concrete forms (or formwork) are high strength, lightweight polystyrene moulded blocks. The blocks are assembled to create the shape of the building, including window and door openings. Then the core is filled with concrete, and the forms remain in place permanently. This width is made up of two outer walls of strong-grade moulded polystyrene, each 70mm thick, tied together with a polypropylene web, which is moulded into the outer walls and creates a void into which the concrete is poured. This void has a width of 158mm, and when full of concrete gives the wall its structural strength. The outer walls of polystyrene remain in place to provide the insulation. The grade of concrete required for pouring into the blocks depend on geographic and build conditions. Unipur structural insulated panels comprise three or four integral timber rafters fixed to and stabilised by a rigid facing board which also forms the ceiling finish. Between each rafter, a filling of polyurethane foam is sprayed in the factory to an even thickness. Unipur panels are available in a range of standard depths according to insulation thickness and U-value required. The panels form an integral part of the roof structure and replace traditional rafters. These all-in-one panels are easily installed, and ready to receive any kind of roof covering. They are equally suitable for refurbishment and new-build, and have a lifetime warranty. are suitable for roof pitches of 15° to 60°. Eco-Slab is an integral insulated formwork system designed to create insulated in-situ suspended concrete ground floor slabs replacing pre-cast concrete ground floors in dwellings. Eco-Slab is manufactured in the UK from heavy duty expanded polystyrene. It produces no harmful dust, is CFC and HCFC free, contains re-cycled material and is 100% recyclable on retrieval. In a typical house floor Eco-Slab will replace 13 tonnes of pre-cast concrete with 135kg of polystyrene. The associated reduction of heavy plant and traffic movements both on and off site can reduce the typical carbon footprint by 90%. The Combi 185 appliance, fitted in the Chewton Mendip homes, has a 95% efficient counter-flow heat exchanger, which combines the advantages of heat recovery ventilation with heat pump technology. The appliance offers priority switching to heat water first in the integrated storage cylinder which holds 185 litres. It can be fitted with a bare tube heat exchanger for use with solar heating or a wood-burning boiler for hot water. Maximum air flow is normally 260m³/h and living areas up to 220m² can be ventilated, with simultaneous heating. The WPL range of below ground rainwater harvesting systems is designed to replace up to 50% of normal domestic water use within the home. Harvested rain can be used in washing machines, to flush toilets or for garden irrigation. The systems incorporate an integrated automatic pump, according to WPL. Tanks are suitable for the self builder or professional contractor. Ashley Seager talks about the creation of zero-carbon homes at the cost of conventional ones - volumn housebuilders take note, a Combi 185 could be the solution. It's unlikely that you would turn up at a pretty, quiet Somerset village in search of any kind of revolution. In fact, you'd be hard pushed to spot anything revolutionary in the village of Chewton Mendip, save perhaps for a few solar panels on top of the local school. Blink and you'd miss three terraced houses forming a corner of two streets in the village. They blend in perfectly with the other traditional stone houses. But behind the facades lie brand new homes built with ultra-modern materials and which already meet the government's strict zero-carbon rating that all new houses will have to meet from 2016. And, crucially, they have been built to a comparable cost to conventional houses, blowing away in an instant the claims of the big housebuilders that meeting the 2016 target will entail huge cost and put up property prices. It's generally true that in any industry, innovation comes from the small start-ups rather than the big incumbents, and local builder Arthur Bland, combining for the first time some advanced new floor, wall and roof technologies already available in Britain, is proving the point. "These are the most thermally efficient houses built in the UK in 2008 and are twice as good as the PassivHaus [energy efficiency standard] in Germany," says Bland. "And if I had built them on a larger scale on a larger plot, they would have been cheaper to build than conventional houses; I am quite sure of that." They say the three most important things in building an eco-house are insulation, insulation, insulation. And maybe airtightness too. And that is what Bland's house embodies: it is so efficient at retaining heat that it does not need any form of heating. In an English house? Surely some mistake? Bland explains that the revolutionary insulated floor system, from a company called Ecoslab, combined with a polystyrene-and-concrete wall system from Logix and a roof system from Unilin, give the house a "thermal envelope" from which heat and air cannot escape. Daily living generates enough heat - from TVs, kettles, the warm backs of fridges and the people who live in it - that no further source is needed. Airtightness might sound suffocating, but in fact the houses have a circulation system that changes the air five times an hour. And the clever bit is an exchanger that captures the warmth from stale air, which is extracted from the house by vents, and reuses it to heat water and the air in the rooms. That system is made by a Swedish company called Genvex and costs about £6,000 to install - but once you deduct the cost of a traditional heating and hot water systems, Bland says you are left with a negligible extra cost per house of £500. For the homeowner, the advantage of Genvex systems is that they last much longer than traditional boilers, which need replacing at least every 10 years. The windows are all triple-glazed and wood-framed to keep heat in. They can, of course, be opened if the house gets too hot in the summer but the Genvex will also provide cool air to keep the places at a constant temperature. The windows and walls are also very good at keeping sound out - a significant advantage for future homes being built on brownfield sites near other houses and roads. The absence of radiators leaves walls freer than they would have been and the airtightness, if nothing else, means there are no nasty draughts in the winter. Bland's former wife Linda lives in the middle house with her two children and loves it. She moved in last December when it was completed and so tested it through the cold snow of the spring, when temperatures dropped to -9C. "For a few days I had a small electric heater on in the living room just to raise the temperature a bit. But after half an hour the house was too hot and I had to turn it off," she says. "It is a great house to live in and I have no complaints at all. The air does feel dry, though, and I have to water the plants more than I would have done. But that is the only thing I would say. I don't have to lug solid fuel around any more like I used to in other houses I have lived in so I love it." The house has low-energy lightbulbs, not only because they consume less electricity but also, explains Bland, because the heat from conventional ones would make the house too hot. He points out that the best thing to do when you have had a bath is to leave the hot water in it to cool, since the heat will be sucked through the bathroom's vents and recycled by the Genvex system into more hot water. "You can get obsessed by this heat business - but it is important," he says. The three houses share a rainwater harvesting system via a big tank in the communal garden to the rear. The rainwater is used for dishwashers, washing machines and toilets. About 75% of the houses' annual water consumption is provided in this way. The houses are not yet zero-carbon in the true sense of the phrase since the planning laws in the village's conservation area prohibit the use of renewable energies such as solar panels or wind turbines. As a result, each uses about £600 a year of electricity from conventional sources. But Bland stresses that the houses meet all the Code Level 6 requirements of the government's code for sustainable homes - a set of rules which is gradually tightening the regulations for new buildings to reduce their carbon output - in terms of the construction. The addition of, say, solar photovoltaic panels would easily make them zero-carbon or even carbon-negative in the sense that they generate more clean energy than the consume, exporting the surplus to the grid. The building cost for the three houses was £300,000 for a total dwelling space of 280 square metres. That sort of figure - about £1,100 a square metre - should make the big housebuilders sit up and take notice, especially as Bland says the awkward plot shape and stone frontage added about 20% to his costs. In other words, slightly more standard houses would be cheaper than conventional dwellings even if the solar panels were added on. His system is also quicker than conventional housebuilding. "There is no great mystery to building houses. If I had not faced the constraints I did on this project, I could easily come in cheaper than conventional houses," he says. "I have simply put some new kinds of products and processes together for the first time. But they can be used flexibly to create any kind of building." But the big boys, of course, don't like change. Bland took his system to the Ministry of Defence, who had a long-running contract with a volume housebuilder for homes for service personnel. The big housebuilder is charging the MoD £2,000 per square metre for the homes - a high price - and was, not surprisingly, impervious to the MoD's request to copy Bland's model, which would have saved the public purse money both in construction and running costs. Although producing concrete needs a lot of energy, the Bland houses use much less than traditional houses and require many fewer truck journeys, saving on emissions as well as noise and disturbance - because they use the excavated earth from the foundations as a base for the Ecoslab floor system instead of carting it away to landfill. You no longer have to imagine the future of housebuilding. It is already here. Energy efficiency is high on housebuilders' agendas and Natalie Gameson talk's about how a Genvex can help. But, to return to housebuilding, and the Code for Sustainable Homes, which came in as a force to be reckoned with in April. Designed to complement the introduction of Energy Performance Certificates (EPCs) this month, the Code rates the home as a whole package on six starring levels, one being relatively low, while six achieves a zero carbon rating. All new appliances will need an A+ rating, while the Code provides more scope for variation on materials and features. The papers would have us believe that going sustainable will net the housebuilder bigger profits than ever - a recent building supplement issued in the Guardian featured an article by Kirsty Gogan which argued that the "vast majority" of homebuyers will pay a premium for a sustainable home. But the market may not be ready to add masses of value to sustainable new-builds, particularly where outlandish, gimmicky eco models are concerned. Savills' recent research on the state of the market works to prove this case in point. "Although required by law, our research suggests the value of sustainable homes is not going to be realisable by developers through high prices as buyers are primarily interested in features that will save them money," says Yolanda Barnes, Savills' research director. "To recoup costs, developers will have to go further in design to create products that will stand out..."
So what features will add the most value in reducing overall build and running costs to please both builder and buyer? 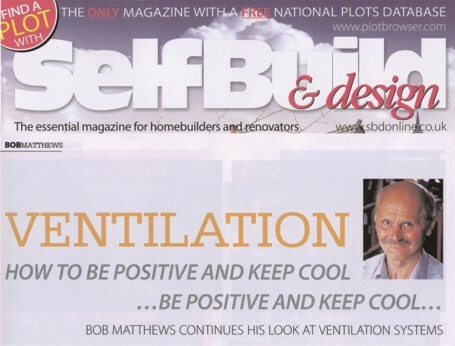 Bob Matthews from Self-Build & Design talks about the virtues of a Genvex Ventilation system. 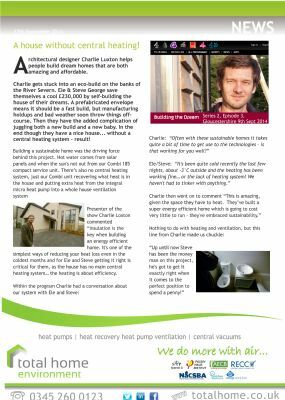 In my article on Ventilation and Heat Recovery in the March issue, I said that extracting extra heat from the exhaust air stream by the use of a heat pump is a good concept, but that such systems are hardly available in the UK. By reversing the operation of a heat pump, summer cooling can be obtained. In the techie-greenie spectrum, HRV systems with heat pumps must surely be at the techie end of the spectrum. If you want an HRV system without a heat pump, the aluminium counterflow heat exchangers used in other Genvex systems have an amazing 95% efficiency in optimum conditions – and about 88% in practical use. It’s never too late to install a central vacuum system - and it can quietly transform your life. I was going round one of those homes ‘n’ property shows the other day, gazing in slack-jawed wonder at stand after stand of hideous overpriced rubbish, when I experienced an epiphany. Regular readers of this column will be aware of its quest for the perfect vacuum cleaner: bagged or bag-free, upright or cylinder, Dyson or anti-Dyson? But the nice demonstrator on the Total Home Environment stand showed me another way. Instead of a machine you have to push and pull around, lug up the stairs and find room for in the hall cupboard, why not ditch the whole idea and get a central vacuum system instead? This is how it works: you have a motor and a hopper for the dirt located out of the way in garage, utility room or cupboard. If you’re really pushed for space, you can get one that fits in a 500mm kitchen unit. From this you run plastic tubes to a couple of outlets in the skirting board - unless you have a massive house, you need only one per floor, in the hall or landing - into which you plug a hose that extends up to 10m, with the usual selection of vacuum cleaner nozzles to put on the end. Et Voilà - switch it on, run the nozzle over the floors and the dirt is whisked away down the pipes to the hopper, which, being so much bigger than the conventional vacuum cleaner, has to be emptied only two or three times a year. Then when you’ve finished, you just have to find somewhere to stash the light-as-a feather hose till the next time you need it. What seemed to me to be obvious advantages of the system are a life of 20-30 years (how many vacuum cleaners would you fork out for over that time? ), super-efficient whisking-way of the dirt - good news for the dust-allergy community - and whisper-quiet operation. With the motor in a distant annexe, the demonstrator confides, you can do your cleaning at night while the family sleeps. Now, that’s what I call living. These systems have been around for a while, but judging by the number of central vacuum firms at the show, they’re about to hit the mainstream. If you’re a self-builder constructing your dream home yourself, it’s a no-brainer - especially since you won’t have to pay VAT on the price, which starts at about £600 for a kit for a four-bed home. You can have one even if you live in an old house. Richard Porteous, of Total Home Environment, says he fitted a Beam central vacuum, the kind the firm sells, in his 100-year-old four-bedroom house over a weekend, concealing the pipes in "accessible natural spaces". Or the firm will install one for you from about £400. Centravac will send someone to do a free survey of your property to see how its Nilfisk products can be installed. Though the representative of another firm - whose name I will not give column space to, as his associate was rather rude to me - did warn that in an old house there would be a "fair bit of disruption" and it would be a good idea to time the installation with other home improvement projects. If you’re still not convinced, how about this? These systems all feature a fab bit of kitchen kit: a narrow slit at floor level. Sweep the crumbs and cooking mess towards it and - whoosh! – it’s all sucked out of sight. Dustpan and brush? How utterly passé. As we have recently had new premises specifically built for us, we can now extend our clients and customers a showroom facility for both the Beam and Genvex range of products. If you would like to arrange a visit to discuss your requirements in more detail, please contact us in advance to arrange a suitable date and time on 0845 260 0123. Tests show a Beam central vacuum minimizes dust emissions and provides sustained cleaning performance in comparison to leading portable vacuum brands. Unlike upright vacuum cleaners that can re-circulate dust, a Beam Central Vacuum system removes nearly 100% of contacted materials...reducing airborne emissions of dust, pollen and other allergens in your home. Tests show a Beam system provides sustained cleaning performance with virtually no decrease in soil removal ability. In 2004, a study was completed that compared a Beam central vacuum system with leading upright portables including Dyson, Hoover, Bissell, Dirt Devil and Eureka vacuum brands. Soil removal and emission tests were conducted by the Professional Testing Laboratory Inc, in Dalton, USA. Test results showed that soil removal capability of Dyson and Hoover portables decreased by 13% and 10% respectively with repeated use. Test results for the Beam appliance showed that it was virtually unchanged from new. Test results for dust emissions showed that Bissell, Dirt Devil and Eureka experienced sharp increases in breathable emission after ONLY 10 USES. With the Beam system, dust emissions remained at a low level with Dirt Devil expelling 3 times as much, Eureka 4 times as much and Bissell 659 times as much dust as the Beam! In an effort to minimise the build-up of allergens, the American Lung Association Health House program will install a Beam Central Vacuum System in its National Demonstration Health House in Minnisota. "We are honoured to have this opportunity to show builders, homeowners and renovators the ability of a Beam Central Vacuum System to contribute to a healthy living environment," says John Coghlan the president of Beam Industries. "The system that will be installed in this national demonstration Health House can be installed in virtually any new or existing home". The Health House installation will use the same Serenity Series power unit and hose and attachments as those used in a recent clinical study of allergic rhinitis patients. "Improvements in vacuum systems, with better removal of dust from the living environment, are clearly an important way to reduce allergies caused by airborne dusts," says Dr Ian Greaves, medical spokesperson for the American Lung Association health House program. "This is in keeping with the American Lung Association’s goal of making homes healthier for people with asthma and allergies." John Vandermyde, President of J J Vanderson & Co, which will install the Beam Central Vacuum System, says "the greater suction power of a central vacuum system captures far more dust, dirt and allergens than any conventional vacuum. The Beam Serenity Series power unit that will be installed in the Health House demonstration home’s garage assures that all of the vacuumed material is removed completely from the living area of the home". For many years, companies have claimed that their products help reduce symptoms associated with allergies, notably Asthma & hayfever, but there has never been any independent, clinical proof … until now. Indoor air pollution is the primary cause of allergic reactions in sufferers and Central Vacuums are often recommended for removing pollutants and allergens. The Division of Rheumatology, Allergy and Clinical Immunology at The University of California set out to determine whether a Central Vacuum could be proven to relieve allergic symptoms. 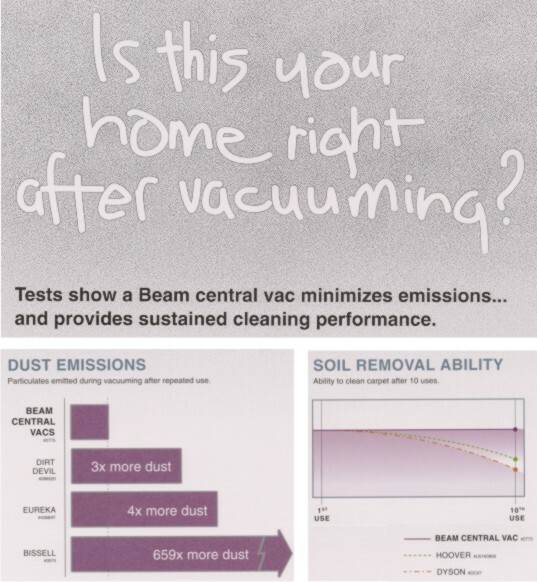 How can you not specify a Beam Central Vacuum in your home or work environment? For a copy of the full report please click here, otherwise contact us now for a healthier life. Please click here for access to the document.